Selenium was developed by Jason Huggins in 2004. Selenium is used to test web applications and it is a portable framework. It is an open-source software, which released under Apache 2.0 license. It works on Linux, Mac-OS, Windows platforms. Selenium supports automation across various browsers, programming languages, platform. Why KaaShiv InfoTech Company to learn Selenium Training in Chennai? Kaashiv provides Best Selenium Training in Chennai with professional trainers who provide real-time training and also projects to the candidates for better understanding. 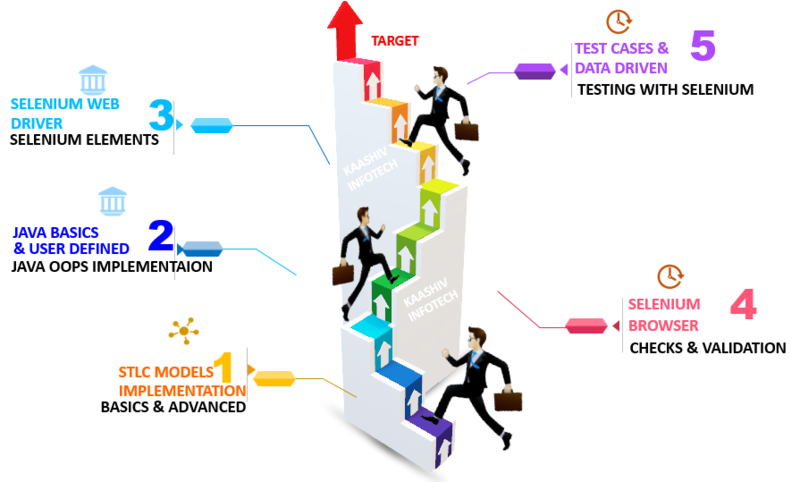 Why Students should go for real time SELENIUM TESTING Course ? Operating Systems: Android, iOS, Windows, Linux, Mac, Solaris. Browsers: Google Chrome, Mozilla Firefox, Internet Explorer, Edge, Opera, Safari, etc. Students undergone Selenium training will be expertise in Selenium testing and automation testing + real time Software Implementation. For Selenium Training 120 concepts from Basic to Advanced will be covered. Students will be turned experts by getting training in 100+ programs and 100s of test cases.